How do I integrate with SalesScreen's API? Integrate your 3rd party system with SalesScreen API to seamlessly push your sales data into your SalesScreen account. 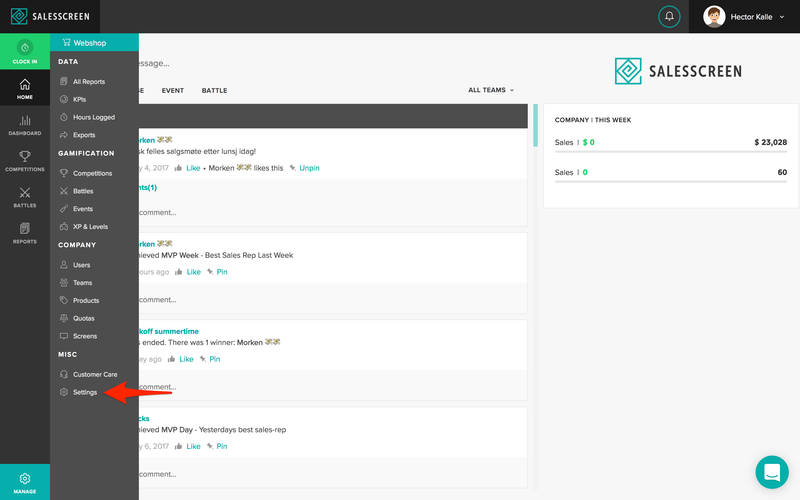 If the documentation portal reads for instance POST Customer/Add , this means that this method accepts POST requests, and can be found at https://integration.salesscreen.com/Customer/Add . The first is a parameter called CompanyKey. This parameter is unique for every company in SalesScreen and is used to authenticate your request. The second parameter you will need is called ExternalSystemId. This parameter is used to identify the system from which you are integrating. All API methods requires these two parameters, if you fail to provide either one you will receive a 400 Bad Request from the API. 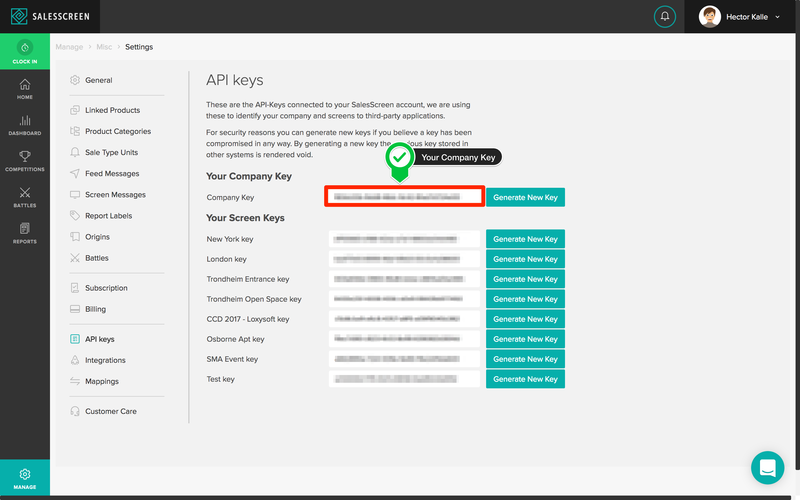 If the CompanyKey you are sending for some reason is invalid, the API will return a 401 Unathorised HTTP code. Send us an email to [email protected] with the details of the 3rd party system you want to integrate with SalesScreen. Before we get started one key factor should be mentioned. You do not need to store any data from SalesScreen in order to integrate with us. The Integration API is designed to accept external identifiers for each request, meaning we do not return any data for you to use. For instance, if you want to add a new user from an existing system, you should use the identifier from that system. 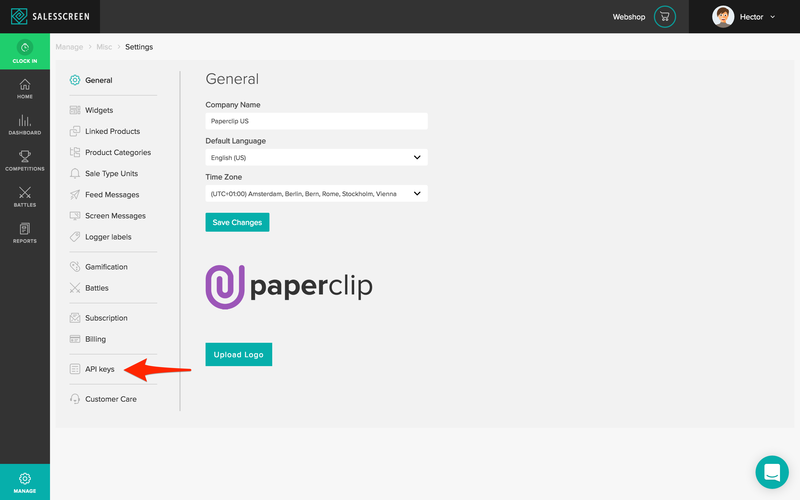 When you add this user we will create a corresponding local user in SalesScreen, and store the mapping between this user and the external identifier that you provide. In every subsequent call to the API for which a user identifier is needed, you should use the external identifier. This is true for every entity you add to the SalesScreen Integration API. In SalesScreen every user is part of a team. A company can contain any number of teams. If the system from which you are integrating from has a similar concept (team, department, etc), this is the first thing you should add. If the existing system you are integrating from does not contain teams (or something similar), this step can be skipped. It is possible to create teams from the SalesScreen web dashboard, and add users to these teams. The next step is to add users to the system. An email address is required for each user, this is needed for users to be able to log in to our system. A lot of our customers want to register the customer for each sales activity. Customers will have to be added to SalesScreen before you add them as a part of a sales report. 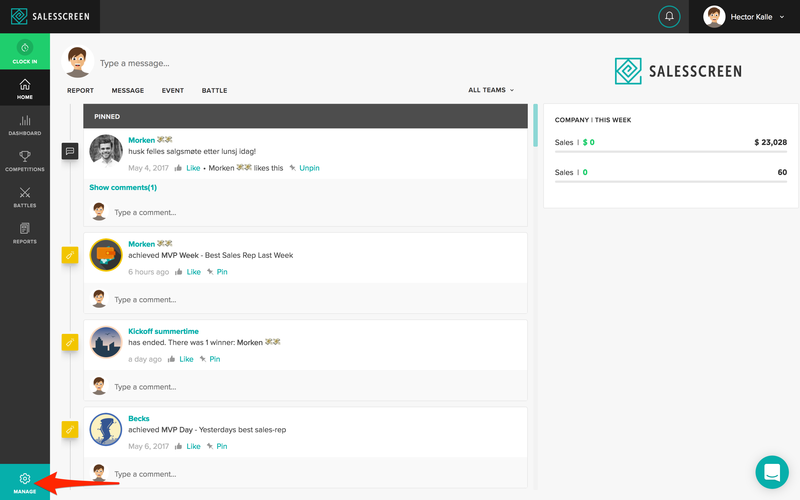 After setting up teams, users, products, and customers, you can now start adding your sales activity to SalesScreen. Remember to add the relevant identifiers for these entities, if you want to use them. If you don’t provide a user identifier or a product identifier, your request will be denied.